We are Wahine. We are I N S P I R E D ! 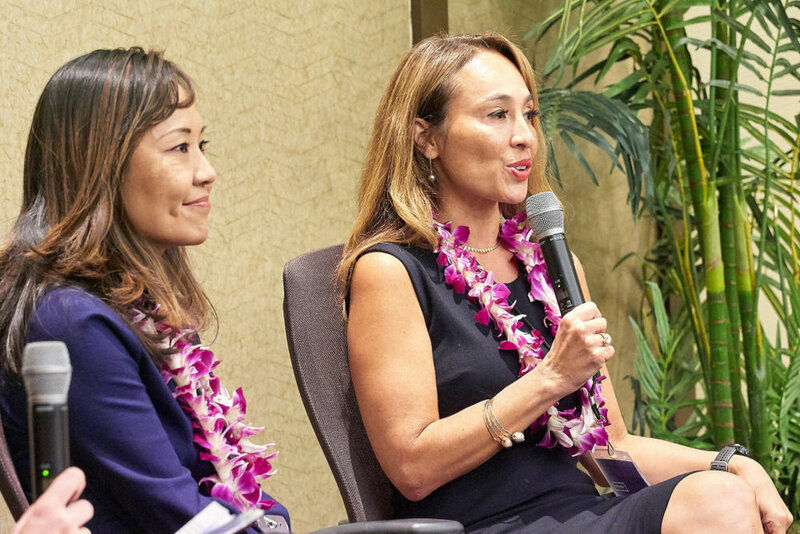 Three words that embody the emotion our team felt at this year’s Hawaii Business Magazine’s Wahine Forum, of which CEI Hawaii was a gold sponsor. This was the first year our team was part of this powerful community event that united over 1,000 attendees to discuss important topics like leadership, cultural norms, public speaking and grit, to name a few. Featuring over 55 local and national speakers throughout this one-day event, our team left feeling motivated to help spark the change that this world so desperately needs in this day and age. In addition to the day’s events, CEI Hawaii was humbled to partner with Hawaii Business Magazine to provide lounge furnishings for the first-of-its-kind “VIP Lounge,” allowing attendees to enjoy, socialize and network amongst one another. Featuring “resimercial” style pieces like the Muuto Outline sofa and Fiber chair in addition to a fun Framery phone booth, the VIP Lounge provided the perfect huddle-spot for guests. A few of our classic Knoll Studio pieces were also featured on the stages of the General and Breakout sessions, providing that elegant touch that only a Bertoia chair and Warren Platner 18K gold-plated arm chair can provide. Throughout the event, CEI Hawaii gave away tons of fun swag bags, Knoll textiles, FilzFelt coasters, nail polish featuring Knoll’s color of the month, and much, much more. One lucky attendee even won a Generation by Knoll task chair valued at over $1,000. Our team is motivated now, more than ever before, to be the change agents in this world and support one another as best we can. Mahalo, Amanda and Hawaii Business Magazine for igniting this powerful drive.